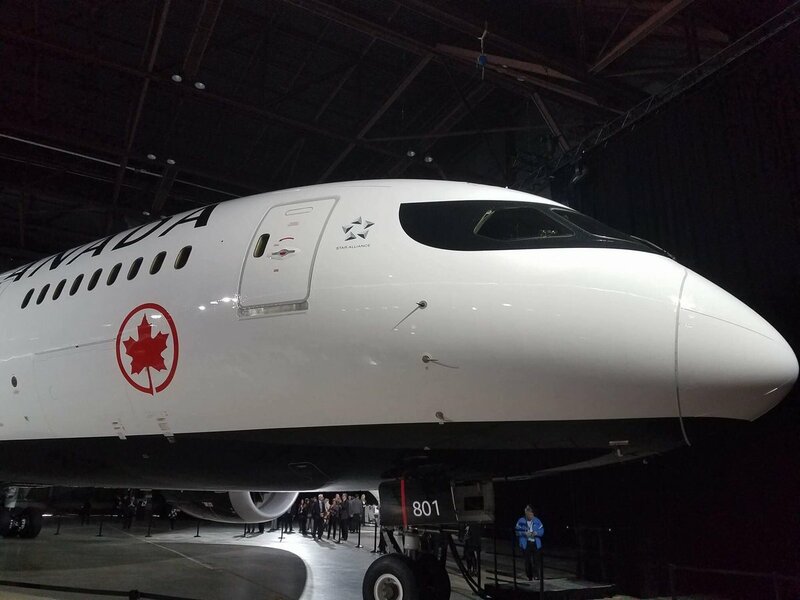 Today, Air Canada announced a new livery along with an overhaul of their brand. The event occurred simultaneously in Toronto, Montreal, and Vancouver. 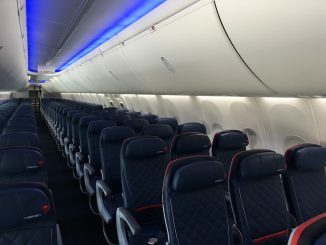 Along with a new paint scheme, the airline introduced new uniforms for their employees as well as a new menu and wine selection. 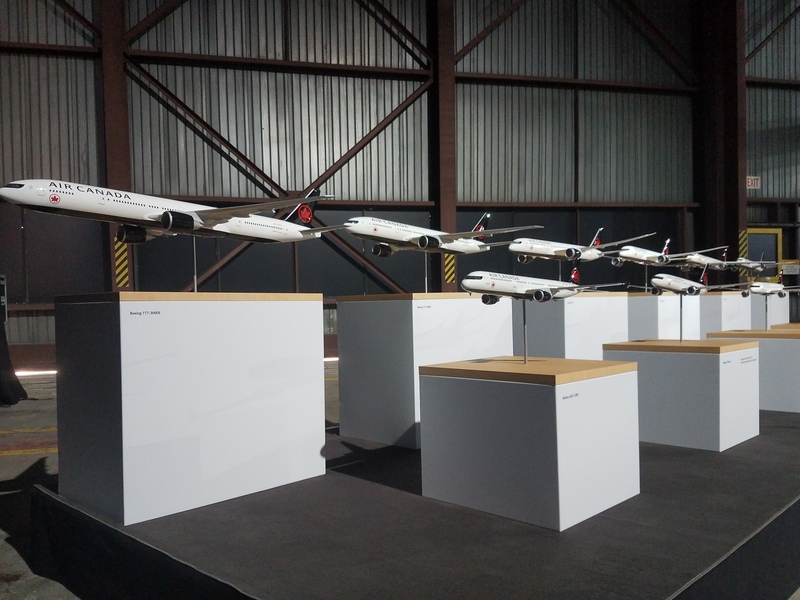 Three aircraft were painted in the new livery, a Boeing 787 Dreamliner and two Airbus A321s. 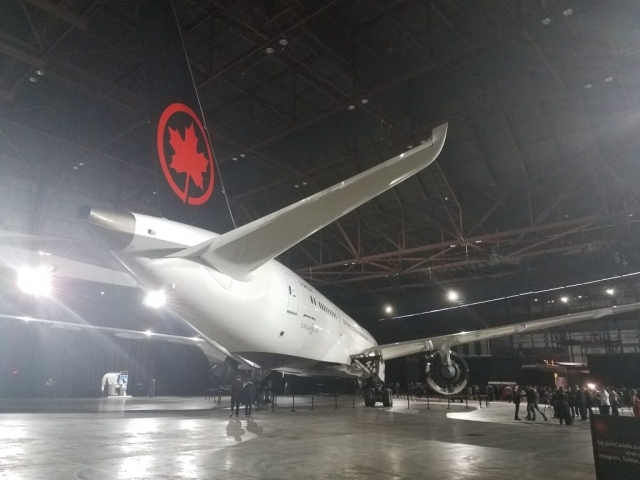 The aircraft were painted in Peru, IN and were ferried to Toronto, Montreal, and Vancouver late Tuesday evening. 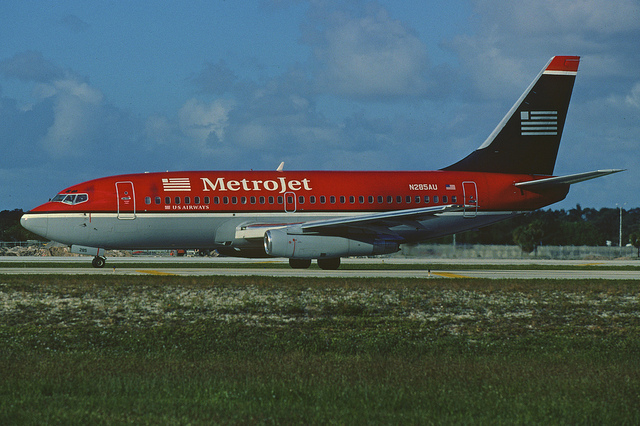 C-GHPQ, C-GJWI, and C-GJWO were among those painted. 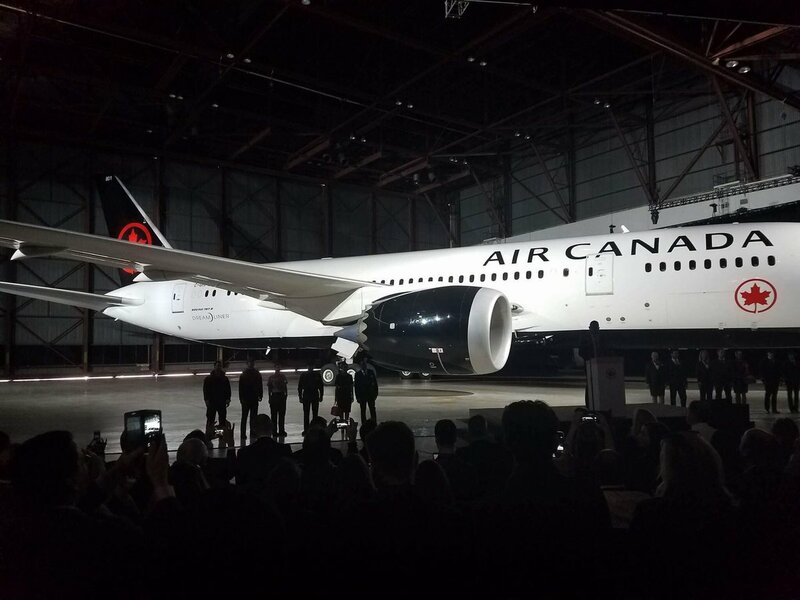 The new livery features a predominantly white fuselage with a black underside and black engines. 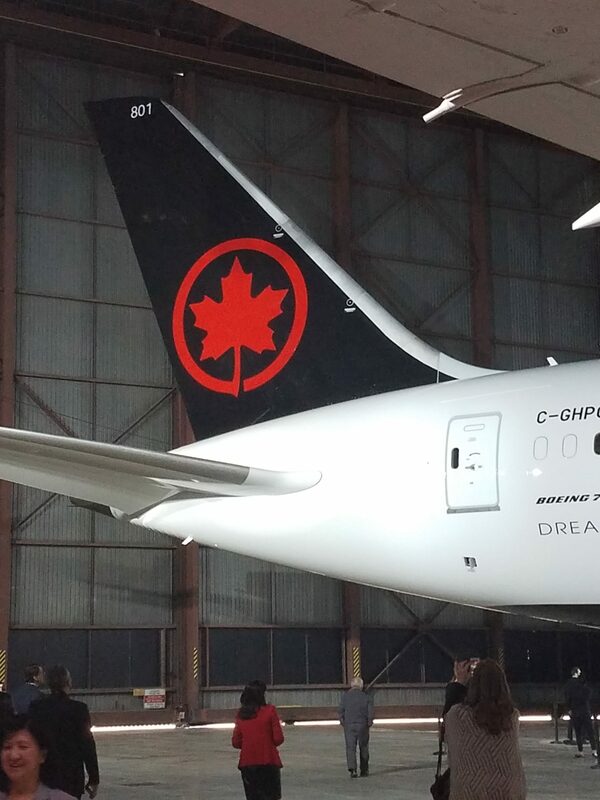 The tail is black with the Air Canada Rondelle in red. The Rondelle is also featured on the underside of the aircraft, underneath the titles, and engine cowlings facing the aircraft. 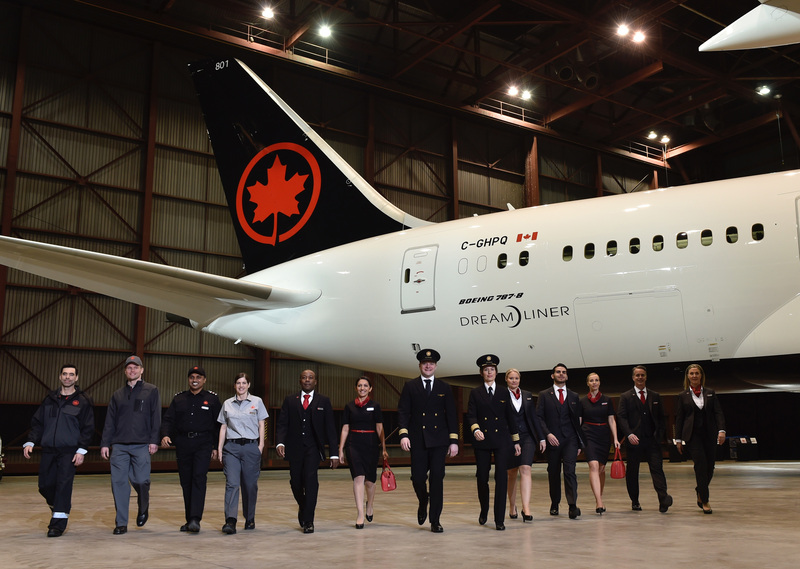 “On the occasion of Canada’s 150th anniversary year, with our new livery, new uniforms for our employees, the award-winning international cabin standard introduced with the launch of our Boeing 787 aircraft, and enhanced onboard offerings, the future Air Canada represents the strength of our nation and the future-looking spirit of our airline,” said Air Canada’s President of Passenger Airlines Benjamin Smith. 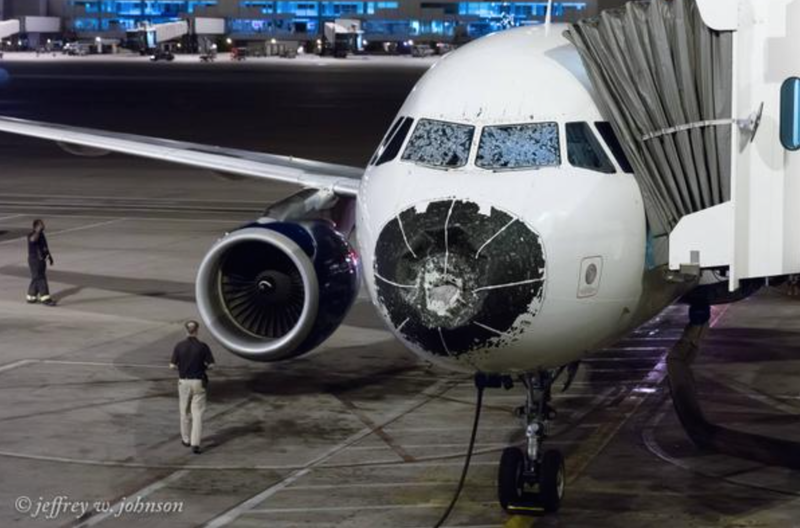 In addition, there is also a black mask design around the cockpit windows. The event in Toronto featured Smith. He was looking to bring the Rondelle back to the fleet and make the aircraft a symbol for Canada around the world. 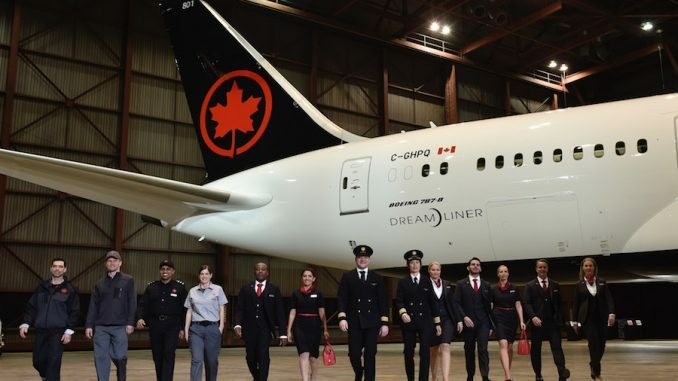 “Nothing says Air Canada more than the Maple Leaf,” Smith added. Designers of the new livery wanted the Rondelle to be the focus and for the livery to be clear and simple. The design team wanted to move away from what they called “trickery by shading and shadow” and “complex designs.” The new paint job requires less paint than the current livery which in turn reduces Air Canada’s overall impact on the environment. The livery will also need to be repainted less often, further reducing environmental impacts. 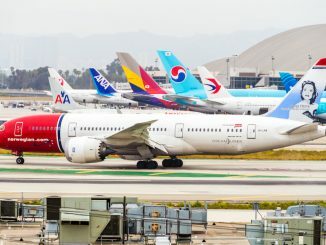 The Boeing 787 Dreamliner painted in the new livery was the first to be delivered to the airline. It will enter service tomorrow between Toronto and Seoul. The airline’s 14 Boeing 787s currently on order will be delivered in the new livery as well as the current order for Boeing 737Max and Bombardier C-Series aircraft. 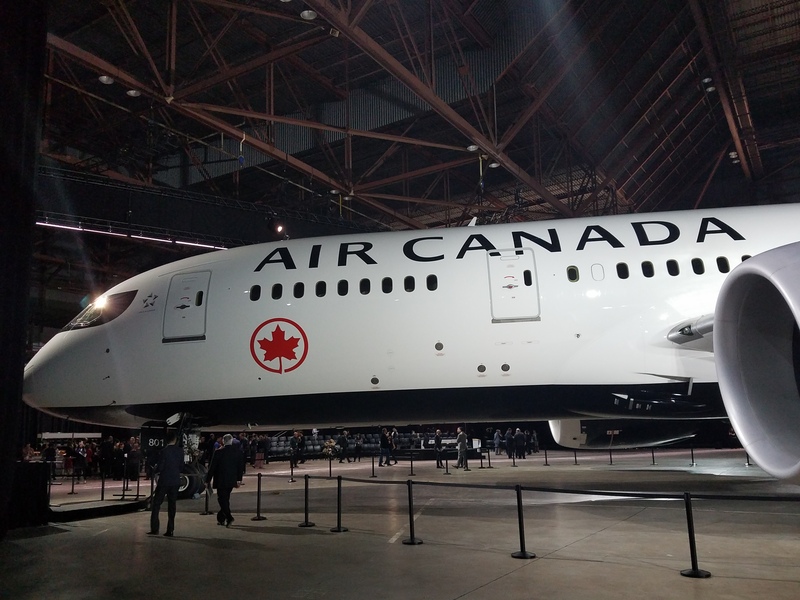 Mr. Smith puts the timeline for the whole fleet of Air Canada and Air Canada Express aircraft to be repainted as 3 to 4 years. 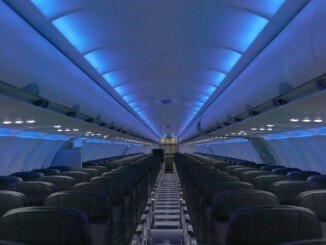 He also expects the airline’s fleet of Boeing 787 and 777 aircraft to be fully repainted in 12 to 18 months. The rest of the fleet will be repainted during their normal repainting cycle. Designed by Christopher Bates, the new uniforms are predominantly black with a red trim and will be rolled out to the company’s over 20,000 employees in the next 6 to 9 months. Some employees have already been testing the new uniform over the past few months with tweaks being made as issues arose. Furthermore, the new menu focuses on a Canadian feel and will be rotated along with the various onboard wine selection. 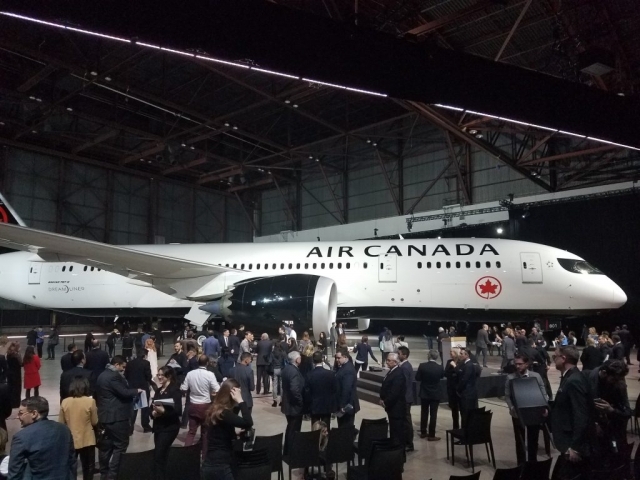 The new branding is going to be a symbol of Canada across the globe and while the response on the new livery is to be determined, it is a bold direction for the Canadian carrier.